Scroll down for additional configurations or browse all Quick Ship Petite options. 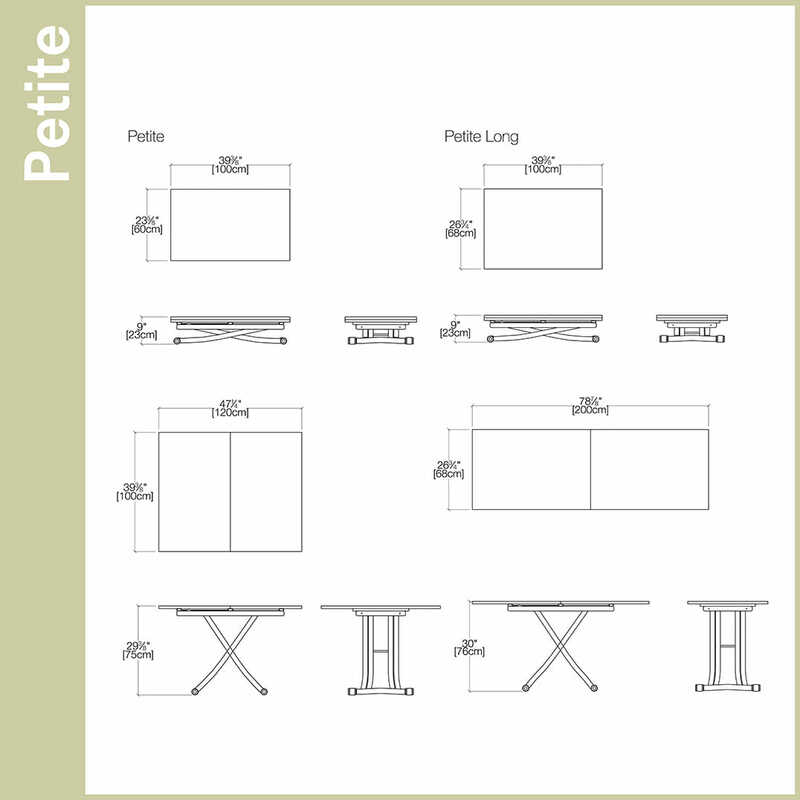 More than a simple transforming table, the Petite is the epitome of chic efficiency. The modern Petite coffee table lifts up to dining table height and utilizes a patented folding leaf mechanism to transform from a petite coffee table into a full-size dining table that can comfortably seat a party of four.